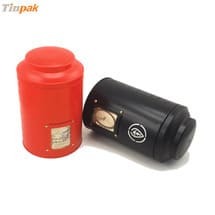 Today my Korea customer confirm a 5K tea tin container as a trial order for me. They are the exclusive distributor for a famous brand tea for Korea. They need the 80*80*110mm tin container in units of 5000pcs CIF-Incheon and the tin container has simple one dark green color printing. I recieved their enquiry in 22th, Oct. 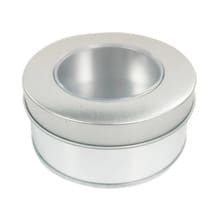 They are definitely interested in the 80*80*110mm tea tin container. I quoted them in one hour and told them we have a dark green tin box for them reference. They are very satisfied with the dark green color. In the same day, I sent a 80*80*110mm tin box and the dark green tin box by express. "You samples look so great and cool, the dark green is just what we want" Richard told me after recieving our samples. Today they place the 5K tea tin as a trial order for me and pay in full. 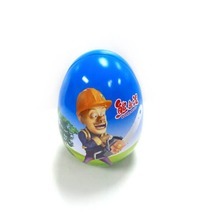 It only 8 day since I got the enquiry and now we establish the cooperative relationship. Thanks for your trust, Daisy we provide quality service for you. 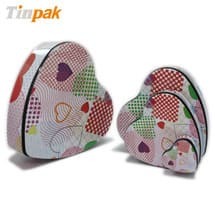 Tinpak tin boxes will provide the tin box with good quality. 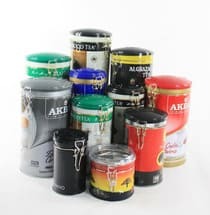 We will give eloquent proof of by action that Tinpak tin boxes is a trusted quality manufacturers of wholesale and custom tin boxes.